SACRAMENTO, Calif. /California Newswire/ — In 2012, when Assemblyman Mike Gatto (D-Glendale) introduced AB 1658 to create the California Legacy License Plate Program, he wanted to do something nice for those who preserve California’s classic-car heritage. Such enthusiasts often view Sacramento as the source of pesky regulations. But even peskier is the fact that after completing a full restoration of that classic Mustang, a car owner had to affix a seven-digit, bright-white, out-of-period license plate on it. Today, the DMV announced that production of California’s historic black plates has finally begun, and those who ordered them via the Legacy License Plate Program will begin receiving them within the next two to three weeks. 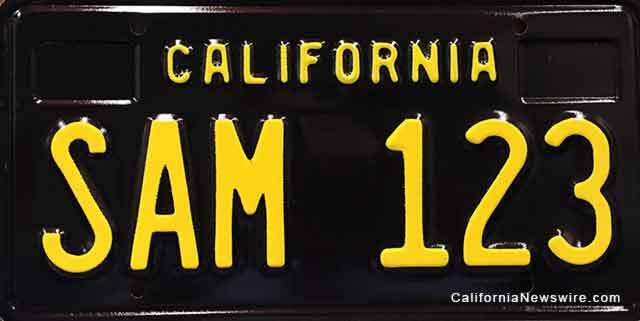 Gatto’s AB 1658, signed into law in 2012, authorized the California Legacy License Plate Program, instructing the DMV to reissue iconic plates from California’s past. According to the DMV, the black plates, which were originally issued from 1963-1969, were among the fastest specialty plates ever to achieve the 7,500 applications necessary to be issued. “Aside from not salting our roads, California doesn’t often do much for automobile enthusiasts. This is an easy way for the state to enable everyone from the backyard restorer, to the nostalgic, to the purchaser of a retro-styled automobile to add that extra bit of detail for those of us who appreciate the classic era of automobile design,” said Gatto.